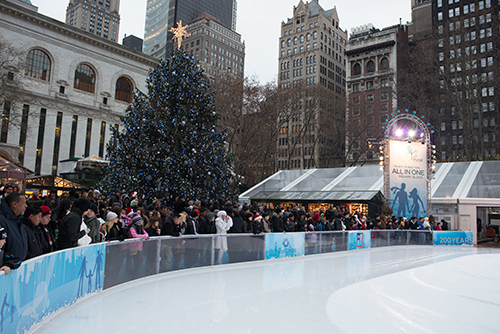 This image was taken at Bryant Park in New York on Christmas Day 2012 (see the original image below). 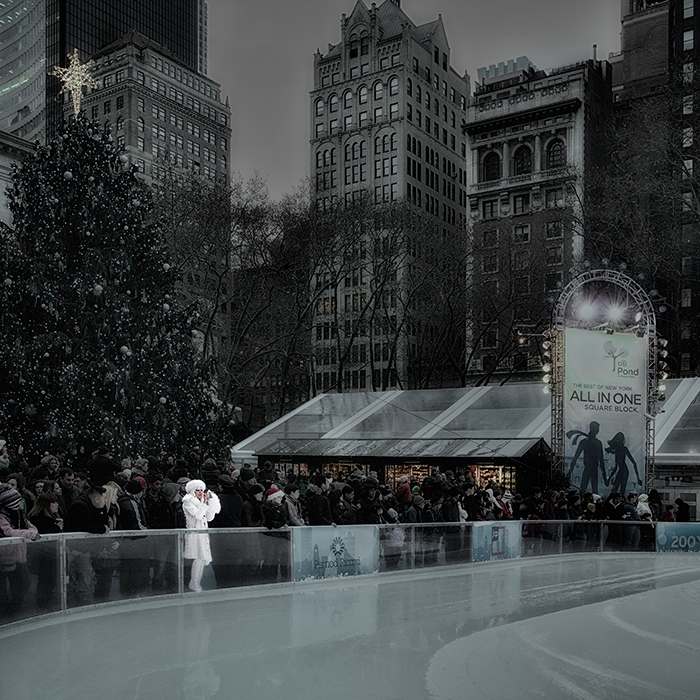 I was taking some candid shots of people skating when I noticed the “Lady in White”. She stood out from the crowd and I just had to try to capture the scene. Post processing consisted of cropping to my current favourite square format followed by a number of adjustments in Photoshop using both standard Photoshop filters and Nik Filters, notably, Glamour Glow, Darken/Lighten Centre, Viveza, Dark Contrasts, Colourise. All designed to give the atmosphere I wanted in the background and to make her stand out. It has had 7 International acceptances, including 151st Edinburgh International Exhibition of Photography 2013 (Scotland), the 2013 Welsh International Salon 2013 (Wales), 121st Toronto International Salon of Photography 2014 (Canada), and theTallaght International Salon of Photographic Art 2014 (Ireland).